National gasoline sales increased by 2.8 percent in 2015 compared to 2014, the largest year-over-year increase since 2002, according to the latest data from the Federal Highway Administration (FHWA). This is the third consecutive year of gasoline sales growth, which is linked to the improving economy, ARTBA Chief Economist Dr. Alison Premo Black said. Consumption grew by 2.9 percent to 3.9 percent in four of nation’s five geographic regions. 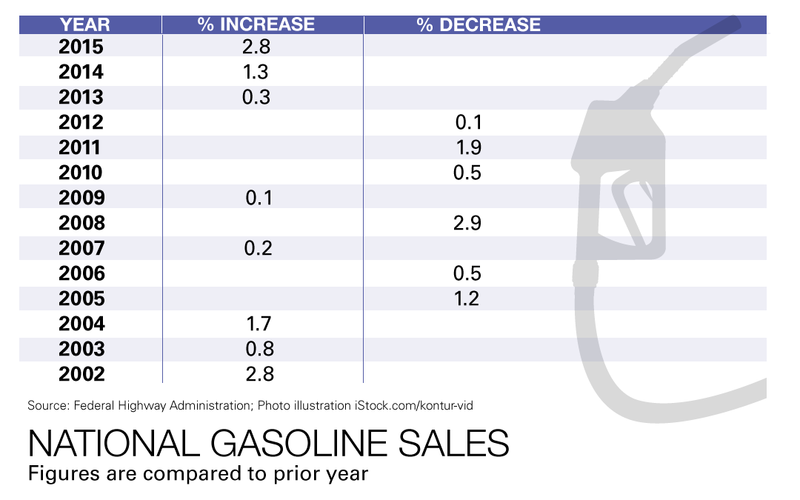 Gasoline sales declined 0.1 percent in the Northeast. Overall, 40 states and Washington, D.C. experienced sales growth. The HTF’s average annual deficit is projected at $18 billion by the time the FAST Act expires in 2020.